I recently received an email from Carlos Jimenez from Spain. 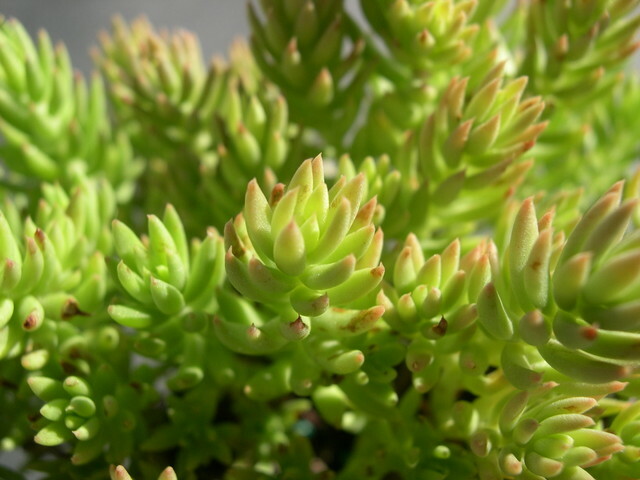 Carlos is familiar with the true Sedum sediforme dianum and had this to say, "I would like to tell you that the Sedum sediforme dianum of your photos, is not the real one. I don't think this subspecies grows in Majorca. It is distinguished by its very broad leaves (more than 1 cm) and sulphur-yellow flowers. The coastal town from where it takes its name is Denia." Thank you Carlos.